This code calculates roots of continuous functions within a given interval and uses the Bisection method. The program assumes that the provided points produce a change of sign on the function under study. 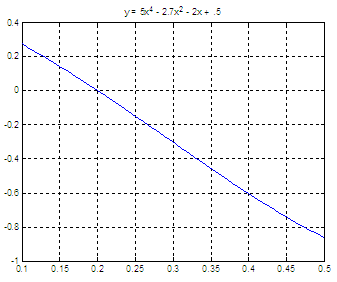 If a change of sign is found, then the root is calculated using the Bisection algorithm (also known as the Half-interval Search). If there is no change of sign, an error is displayed. You could try with other low or high values, or you could improve the code to find two values with a different sign before going on. You will provide the function, the interval (both low and high values) and a tolerance. This suggested version of the method will list the evaluated intervals and the final approximation found using your tolerance. 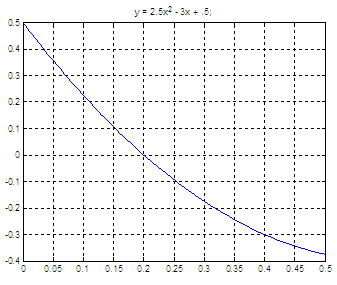 % a function close enough to zero.